Dreaming of boxes tends to mean that you feel there is something hidden away from you. An empty box probably indicates a sense of disappointment. Lots of boxes means you're having trouble processing your feelings and need to hide them away. A ringing phone means that some part of your personality is finally getting in touch with you the way it needs to. There could be an insightful situation right around the corner. If you don't answer the ringing phone, it may be that you're choosing to ignore these messages. 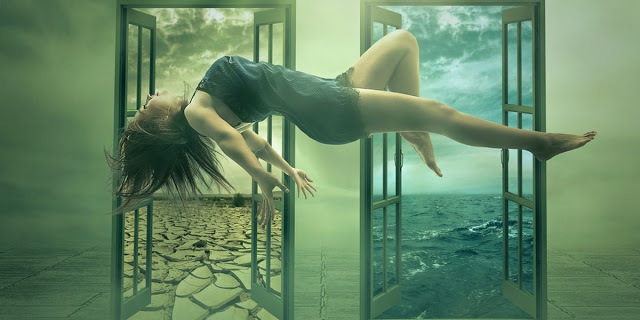 Flying in a dream is typically classified as a lucid dream. These types of dreams are a wake up call from your subconscious mind. Flying can mean you're having difficulties in your waking life that you are trying to rise above. A dream with the moon in it indicates a hidden, unseen, or perhaps slightly revealed creative side of you that's trying to escape. Roads are a symbol of your journey through life. If you dream of a clear, paved road or path, you may see your journey going forward as pretty simple. If it's murky, foggy, and hard to navigate, you may fear your future. To see a budding flower indicates that new opportunities will soon present themselves. Sprouting plants might mean that some of the seeds you've sewn are about to spring to life. Dead flowers mean a chapter of your life may be ending. Water in your dreams tends to reflect your ambition in life. If you keep dreaming about the ocean, it may be time to take on bigger opportunities and take risks. If you dream of shallow streams and small ponds, it may be a sign you're over-reaching.